The C 388 uses an advanced Class D amplifier design for consistent performance. Its highly efficient power supply provides a noise-free foundation, generating huge power with negligible distortion — up to 1,000 watts instantaneously to faithfully reproduce the energy and excitement of all your favorite music. A built-in high-performance headphone amplifier can drive even the most demanding studio monitor headphones. Two MDC upgrade slots let you add or swap modules on the back of the unit so you can tailor the C 388 to your exact needs. MDC BluOS-2i: This module adds compatibility with Bluesound's BluOS wireless music system. Integrate your C 388 amplifier into a multi-room music system using Bluesound speakers and music players. Stream music over your home network from your personal music library, including high-res files, and access tunes through popular internet music services. Use the Bluesound app on your mobile device to control it all. Great unit clean sound very nice power matched it up with a pair of svs prime towers sounds great . Can the NAD C388 integrate with a home theatre system? The C388 is only two channel output. Customized Hypex UcD Output Stage: The C 388 uses a customized version of the proven Hypex UcD output stage operating in a fully balanced bridge configuration. This allows for massive power with nearly un-measurable distortion and noise in the audible range. Every detail of this design has been carefully planned and perfectly executed to deliver every last drop of performance. Sophisticated Power Supply: The C 388's power supply is capable of 400 watts continuously and over 1,000 watts instantaneously to allow for short-term musical transients. It can operate with any AC mains voltage from 100 to 240 volts and provides pure DC power to all the various stages of the C 388. This highly efficient supply also provides near perfect regulation of voltage across a wide range of conditions and provides a solid noise-free foundation for the amplifying stages. Discrete Headphone Amplifier: The NAD C 388 incorporates a discrete headphone amplifier with low output impedance and very high output voltage capability, enough to drive even high impedance studio monitor headphones. Connecting a set of headphone to unit's front-panel 1/4" jack will mute the speaker outputs. Volume, tone, and balance controls are all operable during headphone listening. 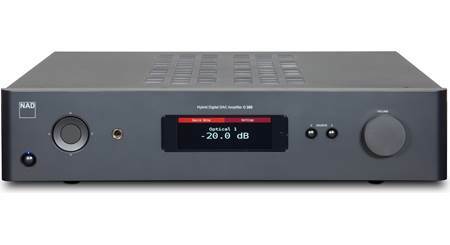 Line Outputs: The C 388 features a low impedance line-level stereo output that can connect to another other amplifier or powered subwoofer to extend the hybrid digital DAC amplifier's versatility. 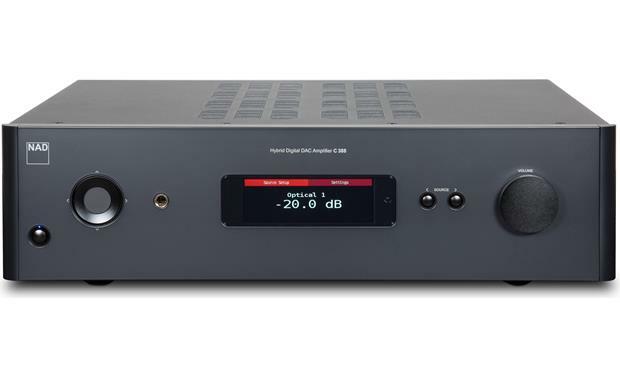 Tone Control: The NAD C 388 hybrid digital DAC amplifier lets you adjust Bass (60Hz) & Treble (20kHz) from -7 to +7dB, as well as Balance between the left & right speakers (L10 to R10). Filters: Filters provide easy bi-amplification or subwoofer integration by adding the required filters to redirect bass frequencies to the subwoofer. Select High Pass or Full Range. When High Pass is selected, low pass audio signals within the 40Hz to 200Hz are sent to the C 388's subwoofer preout and high pass audio signals are sent to the C 388's amplifier section and speaker outputs. Select Full-Range to deliver audio signals with the whole frequency spectrum to the C 388's amplifier section and speaker outputs. Bluetooth Music Streaming: You can wirelessly pair and connect instantly to the C 388 with Bluetooth (4.0), allowing you to stream stored music and music apps wirelessly from your Bluetooth-enabled source device; like your smartphone, tablet, laptop or desktop computer. The high performance Bluetooth aptX codec is fully supported for true CD-quality sound from aptX-compatible Bluetooth devices (like Android OS 4.0+ smartphones & tablets). There is no control or song/artist info display from the C 388. 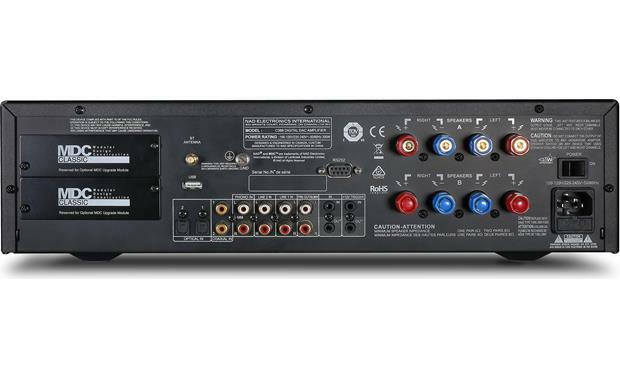 Digital Inputs: The NAD C 388 is equipped with two optical (toslink) digital inputs and two coaxial (RCA) digital inputs. These digital inputs will support 2ch PCM audio up to 24-bit/192kHz (not compatible with Dolby Digital/DTS). Analog Inputs: The NAD C 388's stereo RCA inputs (2 Line/1 Phono) can accommodate all kinds of analog source components by offering ideal input impedance characteristics with linear ultra-low-noise buffer amplifiers to prevent any sonic degradation caused by inappropriate loading of the source device. 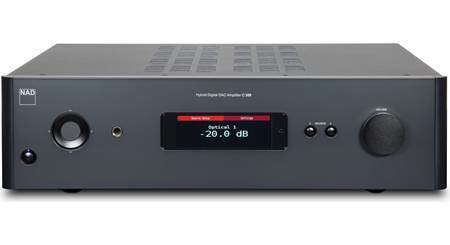 MM Phono Stage w/ RIAA Equalization: The NAD C 388 hybrid digital DAC amplifier includes an MM Phono stage with precisely accurate RIAA equalization, high overload margins, extremely low noise, and an innovative circuit to suppress infrasonic noise that is present on all LPs - all without affecting bass response. 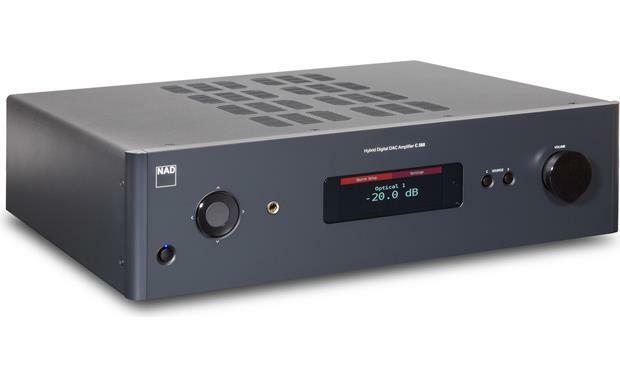 Modular Design Construction (MDC): Modular Design Construction (MDC), an exclusive feature of NAD, allows you to customize the NAD integrated amplifier with additional capabilities and features, now or in the future. The two available MDC slots can accommodate a variety of upgrade modules (all sold separately) including 4K video capable HDMI switching, additional Digital Inputs, and one of the most advanced Hi-Res Audio multi-room wireless systems available, the BluOS music management system developed by Bluesound. BluOs Module: By simply adding the optional BluOS MDC Module(745MDBLUOS, sold separately), the C 388 becomes part of the BluOS wireless multiroom music ecosystem. The BluOS module connects to your network via a wireless (WiFi) or wired (Ethernet) connection, and is controlled via Apple iPod touch/iPhone/iPad, Android smartphone/tablet, Windows PC, or Mac computer. BluOS supports streaming of internet radio, select online music services, and Hi-Res audio files. The BluOS module also includes dual USB (type-A) port for music file playback from USB mass storage class devices, like a thumbdrive or digital portable audio player. In addition the BluOS module offers built-in Bluetooth for wireless music streaming from a Bluetooth source device, such as a smartphone, tablet, or computer. Note: These MDC modules are all sold separately (not included with the C 388). You can add up to two MDC modules. IR Remote: The included IR remote control handles the key functions of the C 388. The IR remote can also be used to directly command other NAD products that respond to applicable common remote control codes. This includes other NAD Stereo Receiver, Integrated Amplifier, and Preamplifier models. It has additional controls to remotely operate NAD CD Players, AM/FM Tuners, and dedicated AM/FM/DB Tuners. It will operate up to a distance of 23'. The remote requires two "AA" alkaline batteries (included). 12V Trigger In/Out: The +12V trigger output (3.5mm) lets you turn on/off another device along with the C 388. The integrated amp can also be turned on/off by another device using the +12V trigger input (3.5mm). Auto Standby: The C 388 can be setup to automatically go into standby mode if there is no user interface interaction and no active source input for 30 minutes. Auto Sense: The Auto Sense feature enables the C 388 to wake up from standby mode when triggered by an active source input with an audio signal. That depends on what you want to get out of it. 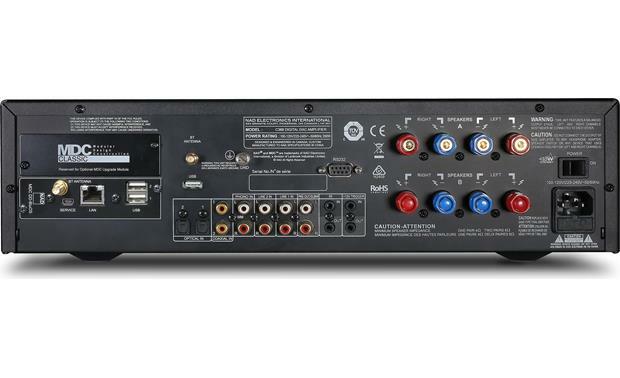 If you're considering it for home theater with multi channel I would look at a receiver or pre/amp and amp combo. This will only play stereo, meaning two channels of audio information and can't decode todays Atmos, Dolby True HD or even Dolby Digital or DTS. This does have the ability to add HDMI switching with a separate module but again I believe it will only be in stereo. Hope that helps. Note that this is a stereo amplifier, that is, 2 channels only. It has 2 optical inputs, 2 coax inputs and 2 RCA inputs. You should really check with the Crutchfield experts concerning the details of your intended application. 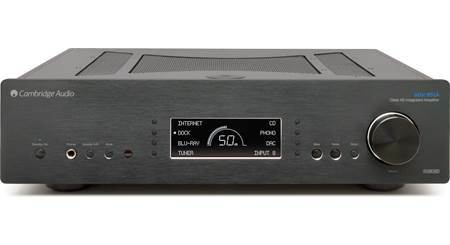 This is a wonderful Digital amplifier - it really Depends on what the definition of integrate is. Will the system accommodate the digital audio inputs of a home theater system yes - with the optics ins. There are not any hdmi inputs and not support for Dolby surround, so for home theater application I think it would be missing some needed features. What is the highest quality method for streaming a digital signal from my computer to the internal DAC, using the digital RCA or optical inputs? My computer doesn't have toslink optical or digital RCA output. Can I convert from USB to digital RCA? Hi MI, The best people to answer your question are the Crutchfield advisors. I had a similar question and they told me to try it with both methods separately and see which method gave me the best sound. A lot of it depends on your computer. As for converting from USB to RCA, I got my adapters on amazon. How easy is it to switch from speaker A to speaker B and vice versa (i.e. to quickly compare two sets of speakers)? Thanks. Easiest way is to use the remote. Not difficult - Using the Set-Up Option or the connectors on the back. Treble and bass management, controls ? Yes. They are accessed through the digital interface. Takes a little getting used to but after that it's a snap. Both. Accessible from face panel and remote. Are my Bose 901 series VI speakers compatible with the NAD C388 Amp? My current power source is a Yamaha Receiver rated at 100 watts per channel and am looking for an amp with lots more beef. What would be the preferred method to hook up the 901's equalizer to the amp? There is no tape loop, so I think you're out of luck. Does Crutchfield ship to APO addresses? Thanks for your question. 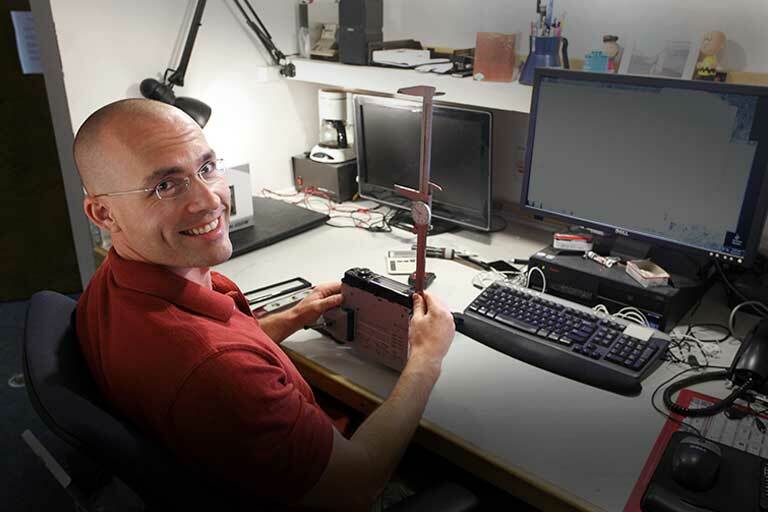 Yes Crutchfield ships within the U.S. and U.S. Territories, as well as APO/FPO addresses. Hope that helps. 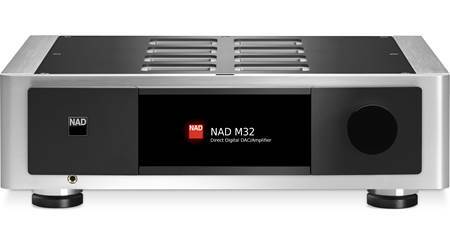 Searches related to the NAD C 388 Stereo integrated amplifier with built-in DAC and Bluetooth®.